(1) first check whether the power fuse is blown, if one phase is single-phase motor starting, the starting torque is zero, the motor does not rotate, replace the fuse enough. Not only to check the electrical circuit, but also control equipment should first check whether the wiring is correct, if the AC contactor due to poor contact line not connected, use sandpaper to contact spots removed, but also to check the core attraction and disconnect situation, there is no blocking, replace the contactor when necessary. 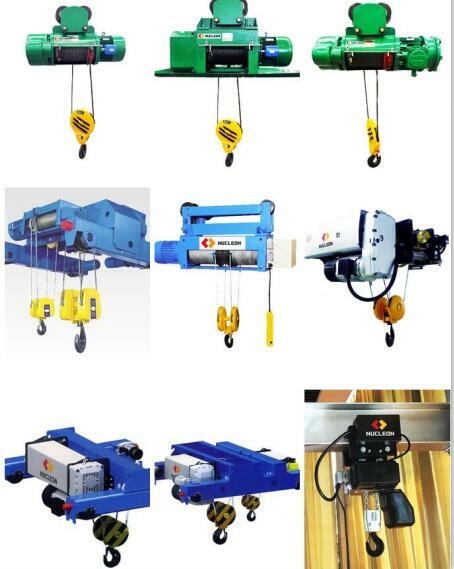 (4) the load is too large or the faulty transmission shed general electric hoist, the motor power is not reasonable, lifting heavy overload, if electric hoist can not rotate, first remove the load, if the motor starts normally, indicating the reducer and transmission mechanism of a fault, should check the dragged mechanism, to clear the fault.